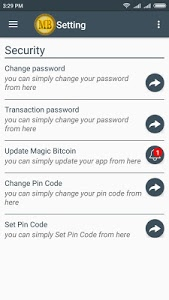 - Magic Bitcoin is Highly Secured Wallet in which Many security parameters like : 6 Digit Pin Verification , OTP verification. 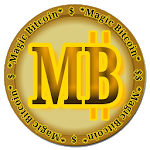 - In Magic Bitcoin App You can also Buy / Sell The MB from bitcoin. 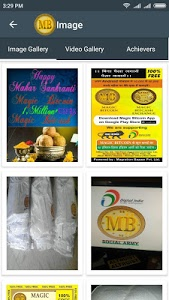 •	Any one can buy or sell MB through Magic Bitcoin App. •	To Free 1 MB & 1 BTC (Terms Apply) : Signup on App -> Goto Buy MB-> Place Bid of Buy and Done. 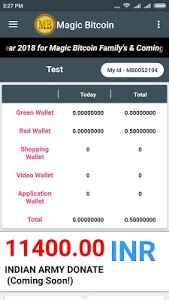 •	To Sell MB: Goto Sell Option -> Place Bid of Sell and You can Withdraw sold Bitcoins to any other Bitcoins Wallet & Wallet to Wallet address. •	Price of MB will totally depends on Buyer and seller . We don’t have any Control on price of MB. Price of MB will be Depend on Market only. •	Trading of MB will be done via Bitcoins only. •	If anyone sells MB then he will get Bitcoins and if anyone Buys MB then he should have bitcoins to Buy MB. •	MB trading Don’t have any concern with any other currencies like : USD / EURO , etc. Trading will be done between MB and Bitcoins only. 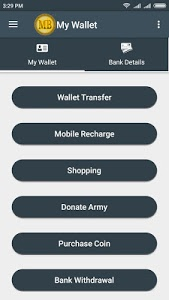 •	User can send his / her bitcoins in MB app via send / receive BTC option . 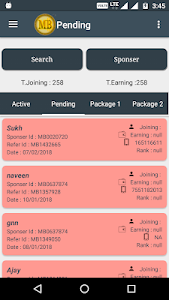 Magic Bitcoin app is also a bitcoin wallet and once user have bitcoins in his Bitcoin wallet of Magic Bitcoin app then user can directly purchase MB through Bitcoins. 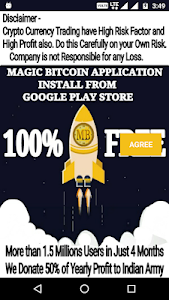 •	After having bitcoins user Place his Buy bid to buy MB in Magic Bitcoin app. 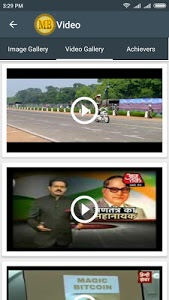 •	As any seller meets his buying bid then he will get MB immediately. •	To sell MB user place Sell bid and as Buyer meets his sell bid then His MB will be sold immediately. •	After selling MB he can withdraw his BTC into his bitcoin wallet address. 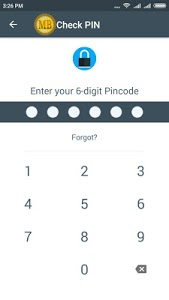 User has to Enter his Bitcoin wallet address and as he withdraw his bitcoins, his bitcoins will be sent to entered address immediately.